I’m very happy to have Jean Reidy on the blog talking about her latest picture book, LIGHT UP THE NIGHT. Jean is a picture book author and her books include: TOO PICKLEY, TOO PRINCESSY, and TOO PURPLEY. She is hosting an on-line auction LIGHT UP THE LIBRARY, which benefits literacy in Africa and a library at Musana Children’s Home in Iganga, Uganda. The auction starts today, November 7 and runs through November 18. 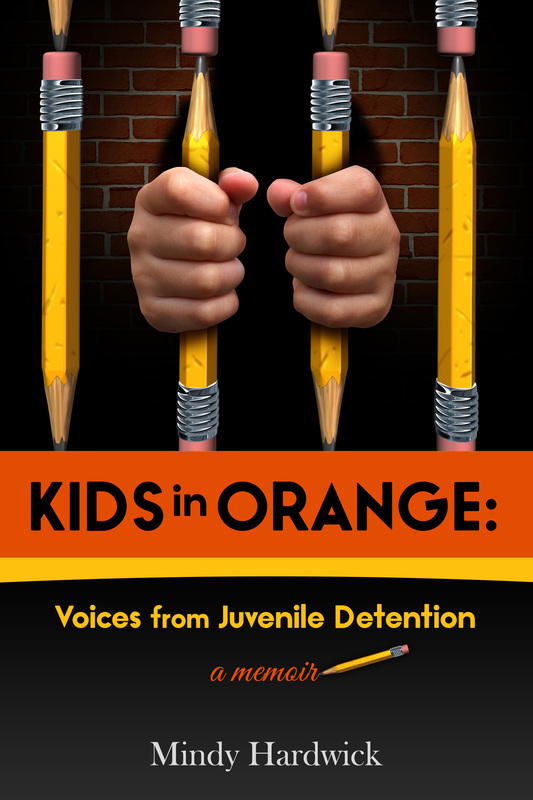 One of the auction items up for bid is a 30-page middle grade manuscript critique by me! Participate in the LIGHT UP THE LIBRARY auction here. Welcome Jean! Thanks for joining us today! Can you tell us a little bit about your newest picture book, LIGHT UP THE NIGHT? 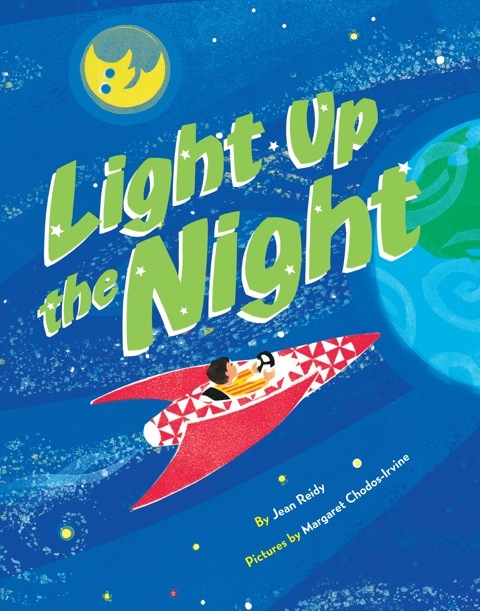 LIGHT UP THE NIGHT is a bedtime book written in cumulative verse (think The House That Jack Built) about earth, space and a kid’s sense of place. So it’s also a bit of a geography book too. Before bed, a boy using only his blanket and his big imagination, travels through his entire universe ─ from the galaxies and stars to his cozy bed. It’s brought to life by the beautiful illustrations of Caldecott Honor Artist Margaret Chodos-Irvine. What inspired you to write LIGHT UP THE NIGHT? I was one of those kids. For me, my favorite space was my own bedroom in the house where I grew up. Well, it wasn’t really my own. I shared it with three sisters. And my grandmother slept just down the hall. While my brothers were relegated to the first floor and basement, our “girls only” attic bedroom, which my dad fashioned out of knotty pine and oak parquet, had enough cubbies and closets to hold many “treasures.” From there, I embarked on some of my most amazing adventures. Most were in my head. 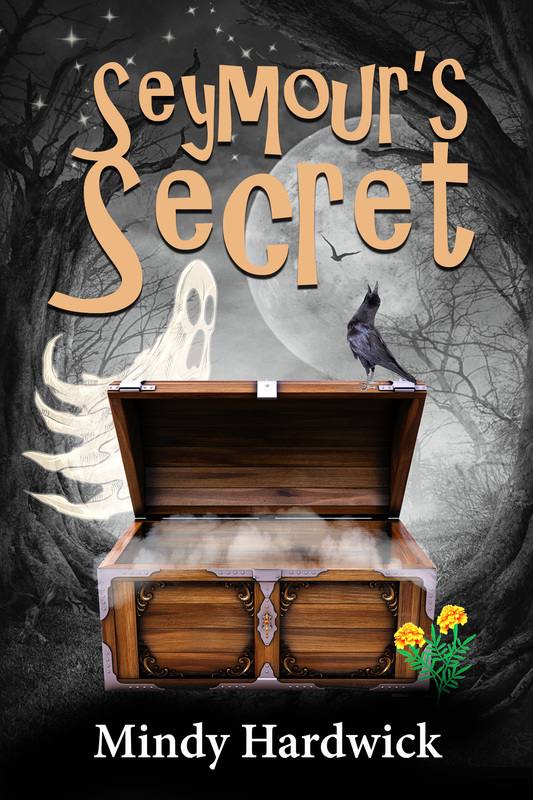 Other times, I might have been holed up in our garden shed, or hidden between the fruit trees and the fence with friends, deciphering secret club codes or spying on squirrels. Every shrub became a hideout. Unfinished basements were canvases for kingdoms and castles. What is one piece of advice you would give picture book writers? Well after read, read and read, a distant fourth piece of advice would be to find your most trusted and toughest critique group. I have two—an online group and a face-to-face weekly group—as well as a few individuals with whom I swap manuscripts from time-to-time. Learn to listen carefully to what they have to say about your writing. Then—and this is the key—learn to figure out what they’re really trying to say. I’m not suggesting that critique partners are unable to articulate criticism, but too often we might jump on their comments with quick fixes or—worse yet—overcorrections that don’t touch the heart of the problem. I remember rewriting an entire first chapter to solve a problem that really only needed an extra sentence to remedy. Now, I ask a lot of questions. I learn more from discussions about what’s working and what’s not with a manuscript than I do from most workshops or craft books. Recently, I’ve been involved in an interesting discussion with a group of writer friends. One member of the group, who is a published and highly successful author/illustrator, was recently awarded a prestigious mentorship. In addition to the congratulations came the question, “Why would she need a mentor? She’s already successful.” Well, that discussion reminded me of something my wise and wonderful agent, Erin Murphy once said, “. . . even after reaching a point that others would call ‘successful,’ you need to stay open to learning and growing, instead of resting comfortably on your laurels. I really think that continuing to challenge yourself in your craft is the key to not getting stagnant and outmoded.” Truly, we should always be learning, shouldn’t we? You are hosting an on-line auction, LIGHT UP THE LIBRARY, which benefits literacy in Africa and a library at Musana Children’s Home in Iganga, Uganda. Can you tell us a little bit more about this auction and your project? The LIGHT UP THE NIGHT story ends in the sublime comfort of a kid’s cozy bed – so I’d like to close this interview with some good news and hope. When I traveled to Uganda in the summer of 2010 I worked at the beautiful and joy-filled Musana Children’s Home in Iganga which provides a home and school to 80 children and education to an additional 120 day students. The Musana community was founded and is run by three young women from my hometown here in Colorado. In addition to dormitories and classrooms, the school has a small library badly in need of books. On November 7-18, I’m holding an online auction called Light Up the Library http://lightupthelibrary.blogspot.com/ which, in coordination with Books for Africa, will provide funding for thousands of books for Musana’s library. The auction items feature something for everyone ─ and especially for writers. I hope you will join me reaching beyond our borders to celebrate literacy, a love of reading as well as earth, space and a kid’s sense of place. Thanks so much, Jean! Where can readers find you and how can we participate in your auction? You can learn more about me and my books at my website at http://www.jeanreidy.com/ or my blog at http://jeanreidy.blogspot.com/. And you can come and have a little fun ─ and maybe even win something ─ at my auction at http://lightupthelibrary.blogspot.com/. You can also read some of Jean’s other blog tour posts here.